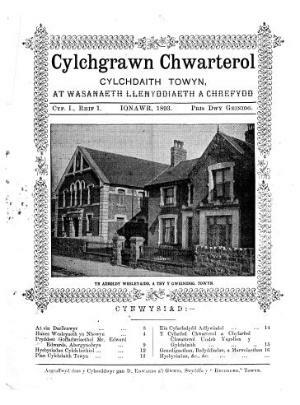 A quarterly Welsh language periodical serving the Tywyn Wesleyan Methodist circuit and later the Dolgellau, Barmouth and Tywyn circuit. The periodical's main contents were literary and historical articles, biographies and news relating to the circuit. Associated titles: Cylchgrawn Chwarterol Cylchdeithiau Dolgellau ac Abermaw a Thowyn (1894).